Sadly, last week's announcement by Amtrak that it will no longer participate in special train movements may indeed spell the conclusion of the main line steam excursion era. Without the protective umbrella of Amtrak's insurance coverage, those few Class I railroads that had been still willing to run very occasional trips will likely demur. 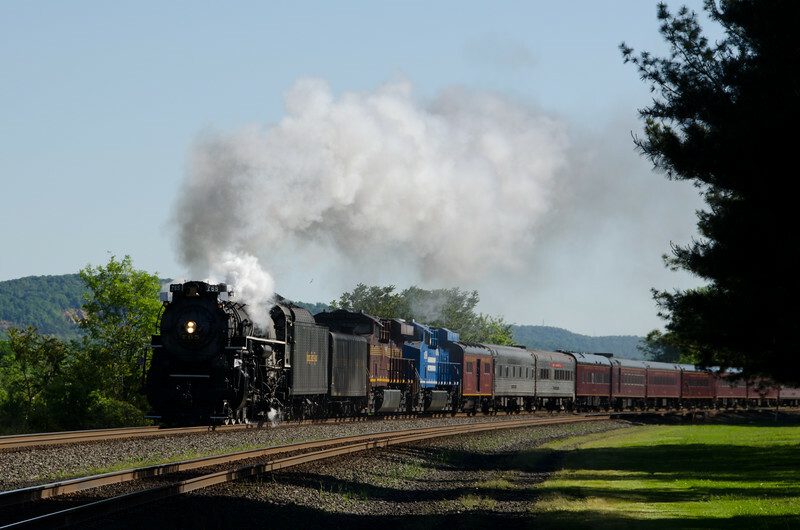 That will make such sights as this one, with NKP 765 romping along the Norfolk Southern mainline towards Altoona PA, a thing of the past in more ways than one.